From the studio behind Velocity 2X and Tiny Trax. 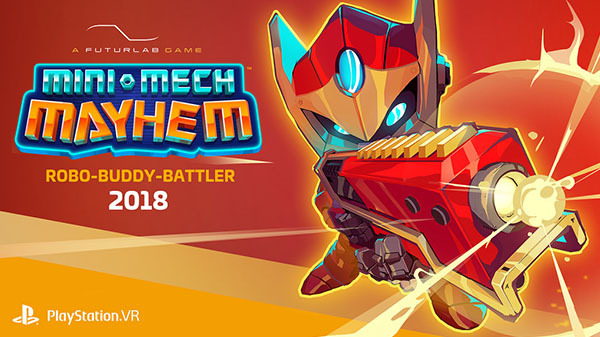 Velocity 2X and Tiny Trax developer FuturLab has announced Mini-Mech Mayhem, a robot battle game where the player takes on the role of the “big buddy” that fights alongside their Mini-Mech partner, for PlayStation VR. It will launch in 2018. Further details were not announced. If you’re based in Brighton, FuturLab is now hiring to help development on the title.